Stuart began his legal career with the firm in 2004. His practice includes employment law and litigation, and business transactional matters. 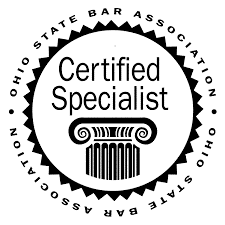 In 2012, Stuart was certified by the Ohio State Bar Association as a specialist in Labor & Employment law. Stuart is a member of the Ohio State Bar Association, the Cleveland Employment Inn of Court, the Cleveland Employment Lawyers Association, Ohio Employment Lawyers Association, and the National Employment Lawyers Association. He was named a “Rising Star” by Ohio Super Lawyers magazine in 2010 and during the years of 2013-2016. 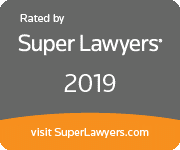 In addition, he has been selected as a "Super Lawyer" for 2017-2019. 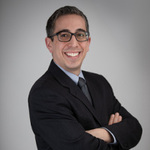 Stuart’s employment practice areas include cases involving the Family Medical Leave Act (FMLA), reasonable accommodation, minimum wage and overtime claims, discrimination, and retaliation. He handles cases involving breach of contract, breach of fiduciary duty, and employment contracts, including non-compete agreements. Stuart also represents federal employees in EEO Formal Complaints and Investigations. Stuart's business and transactional practice includes advising established and start-up business on incorporation, dissolution, and reorganization; employee handbooks; compliance matters; and trade names, including trademarks and copyrights. He also conducts independent investigations into allegations of workplace harassment or misconduct. Stuart is also admitted to practice before the United States Court of Appeals for the Sixth Circuit. He is a frequent speaker at employment-law seminars, presenting federal and state case law updates.